Hoyt Memorial is a church of authenticity. A church or community that establishes relationships with people, both within and outside the church. A JUDGEMENT FREE ZONE, where love is not superficial. Authenticity is a life of integrity, not perfection, in which our faith and our mission are congruent with our profession of faith. 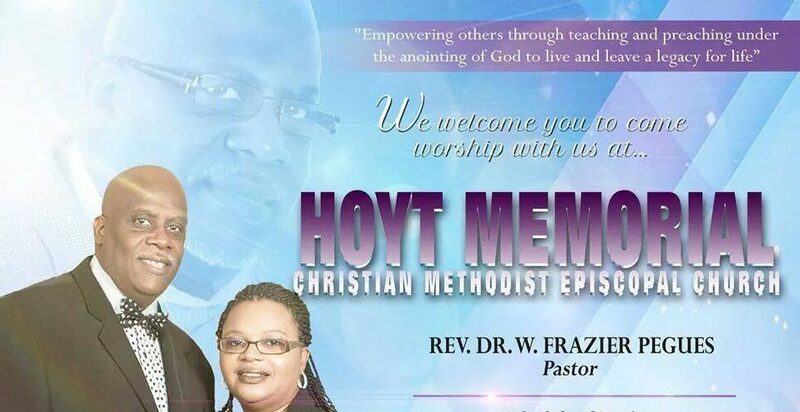 For Hoyt Memorial Christian Methodist Episcopal Church to be authentic, we must create a safe environment of acceptance, forgiveness, healing, and hope. Our faith is not just a doctrinal statement, but a response to follow the invitation of God. It’s an action outward service directed towards the world in which we abode. An action that we take with others, and not one we do alone. Jesus says that were there are two or three gather in my name he promises to be in the midst. Therefore, we as a the faith community, should bind ourselves together with those who have yet to find their way to participate and partner in the work of kingdom building. Hoyt Memorial is a congregation that take serious the call of Jesus Christ to “seek ye first the kingdom of God and His righteousness.” Therefore, we take risk and go the extra mile, believing that ministry happens when it’s time and not when we make time for it. We serve with the understanding the call extends outside the four walls of the church building. We believe that God love us all and that he is no respecter of person. Come join us anytime for an awesome worship experience, lovely fellowship, and a congregation with a mind to work in the vineyards. Come and together we will engage in the transformation of persons and our communities while making disciples.